I have decided that it is time to makeover my bedroom. It is waaaaaay overdue for a change and I’m having so much fun picking out homewares! I’ve stumbled across Hunting for George who are a local label and create some amazing bed linen ranges of their own as well as being a stockist for some other amazing labels such as Kip & Co. I have created the looks I’m thinking about below. 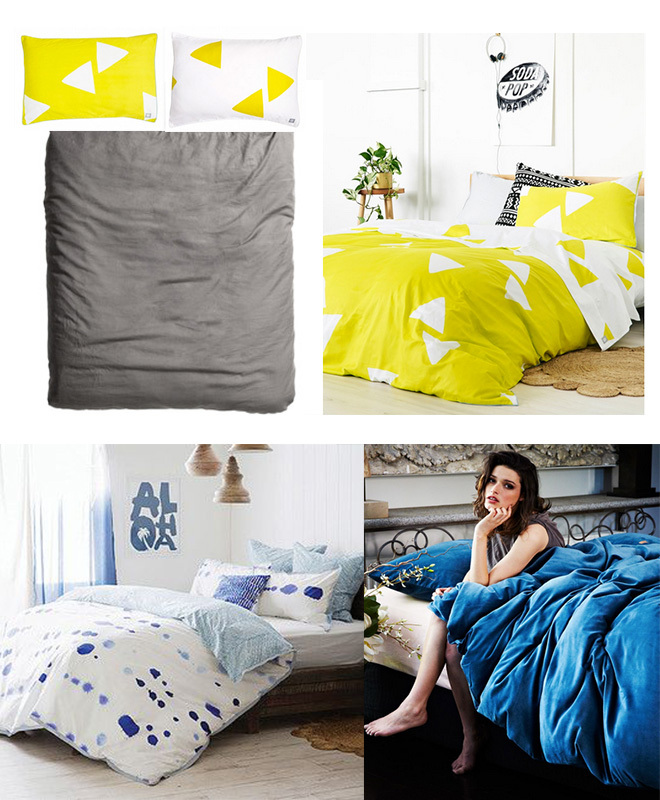 I am seriously obsessed with the bright ‘Islander’ quilt (in chat reuse with white triangles) along with the sheet set in the reverse colour way. The other choice is a gorgeous grey linen cover from H&M Home paired with the bright islander sheets. The two blue options are the ‘Real living’ quilt on the left and the Kip & Co velvet on the right. Loving how plush the velvet looks! Any ideas? Check out Hunting for George and their gorgeous ranges!